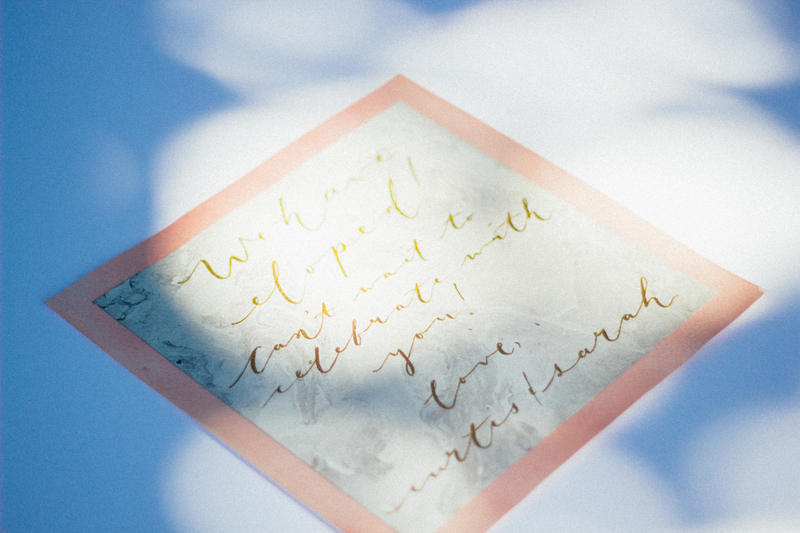 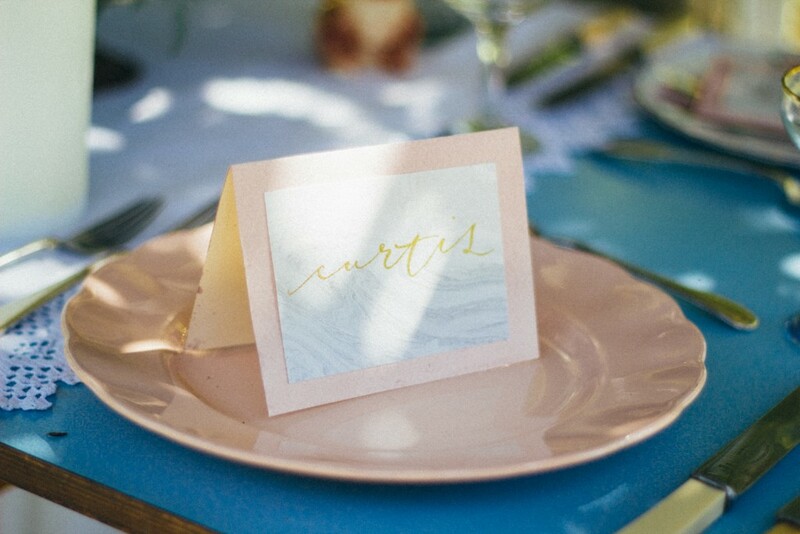 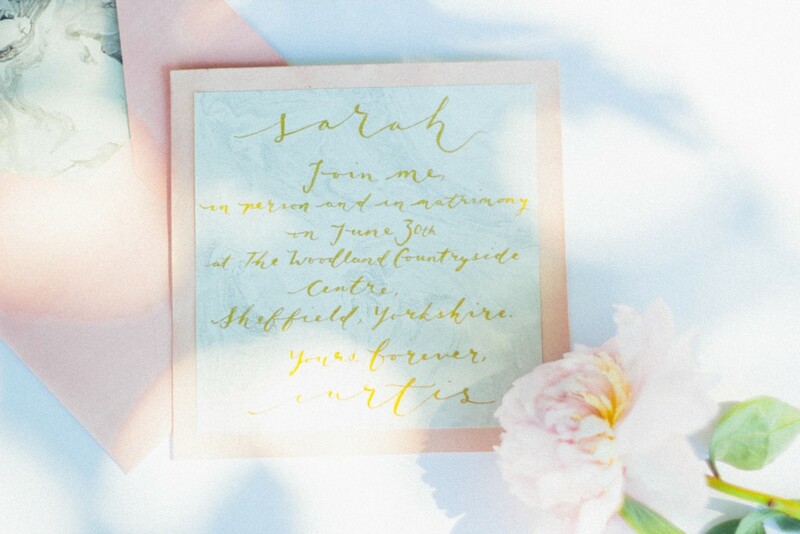 Calligraphy for a styled shoot by Helena Marie Photography and Ever Thine Photography which was published on Rock My Wedding in January 2016. The theme for the shoot was Past Modern, inspired by “reworked classics, augmented florals, contemporary heritage and restored materials”, with the colour palette based around Pantone’s 2016 Colours of the Year: Rose Quartz and Serenity. 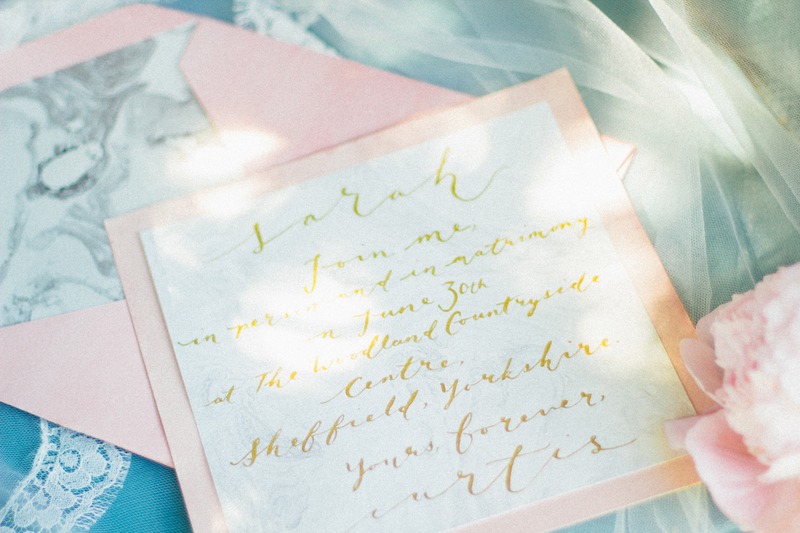 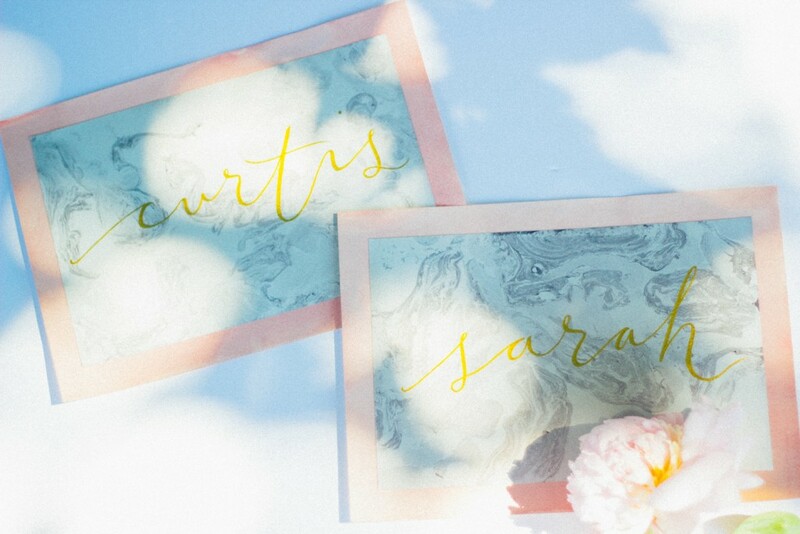 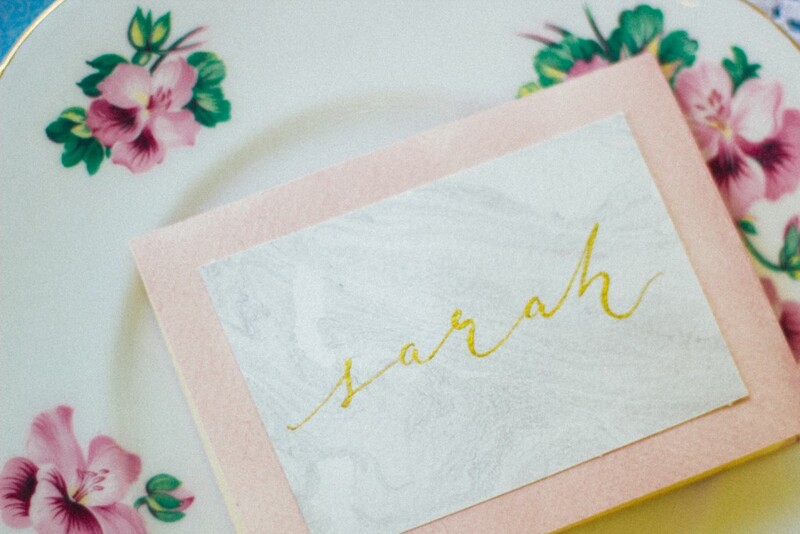 I colour-washed and marbled the paper stock by hand and used gold ink for the contemporary-style calligraphy. 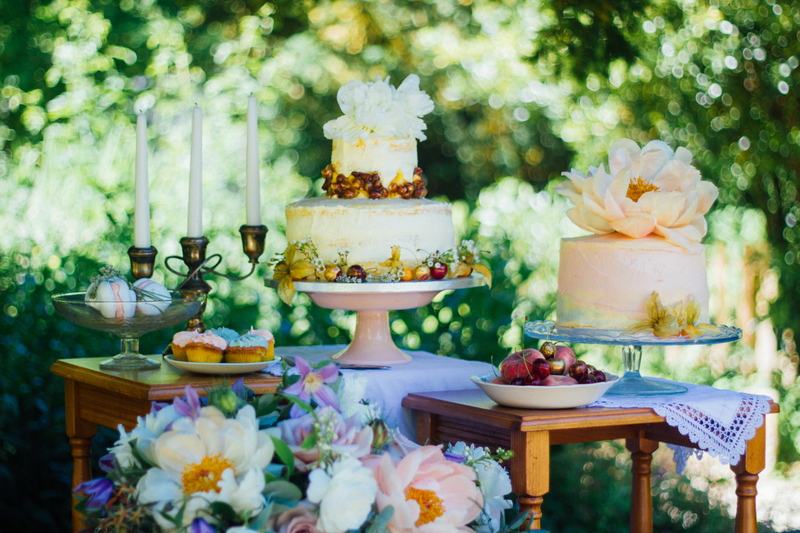 All photography on this post by Helena Marie.